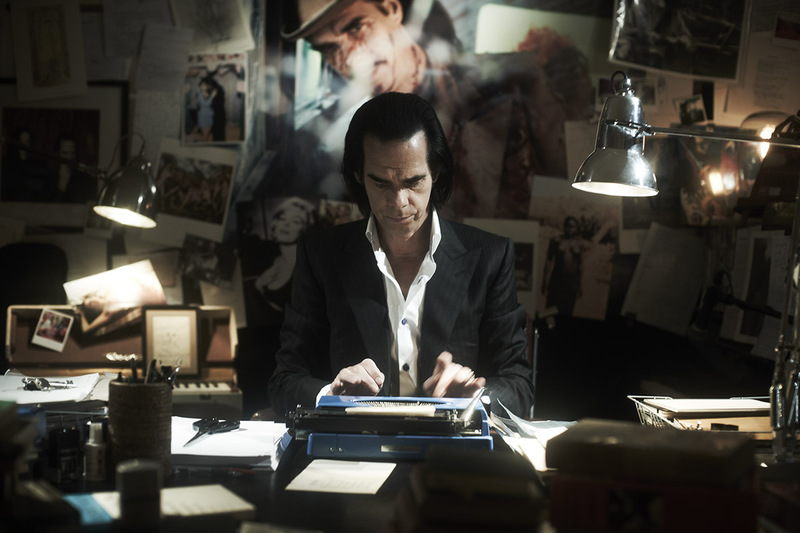 At a February 2013 concert at the Sydney Opera House, I saw Nick Cave come out of his shell a little. As the applause died down after ‘Mermaids’, Cave hesitatingly addressed his audience. ‘See, it’s not really about mermaids. It’s about longing for women, about desiring them from a distance. It’s a metaphor …’ Then his voice trailed off and the ruminations ended, sheepishly, before they’d really started. And I thought, he needs to do more of that; the ruminating I mean, not the clamming up. Too often, Australian artists are reluctant to reflect deeply or openly on what they do. Sure, they’ll talk about the context of creativity—‘I was angry when I wrote that song’, ‘I was living in Berlin at the time’—but that’s glib and ultimately evasive. It suggests that art is largely a circumstantial, reactive affair. What Australian artists rarely do is talk about how art works and how they work to make it happen. That’s where the sheepishness peculiar to Australian artists comes in; it doesn’t do to be too reflective, to articulate a vision, to step outside the ‘awesome-gig-man’ rhetoric. Collaborating with artist-filmmakers Iain Forsyth and Jane Pollard in 20,000 days on earth (2014), Cave revels in reflection on the creative process. The germinal moments in his artistic development are laid bare; a daredevil childhood in country Victoria, the sudden death of his father, drug addiction, love … Familiar enough motifs, I suppose; a staple of romantic fiction before it became the stuff of the rock-star biography. But it’s delivered in a faux consultation with a psychiatrist, as if to insist on the theatrical, not to say formulaic, conventions of confessional biography. Forsyth and Pollard, whose previous projects have included painstaking reconstructions of legendary rock gigs, make it clear that they are building rather presenting the evidence of Cave’s life. The sturm und drang elements are embedded in, and ultimately over-written by, the ‘day-in-the-life’ structure of the film. While Cave asserts the intensely personal roots of his art, he demonstrates over and again that what emerges from such moments rests on what visual artists now commonly refer to as their ‘practice’. There’s the dailiness of it, for starters. The film begins with Cave rising at 7 am; his schedule is more working stiff than Lizard King. More than that, there’s the conscious pursuit of strategies that might allow him build his art out of this dailiness. So Cave introduces his Weather diaries. Ostensibly an opportunity for an Australian to whinge about lousy British weather (there’s that circumstantial device again), these quickly become a pretext for reflection on far more than the weather. As Cave suggests, meteorological data is supplanted by fiction and observations are made into lies. At which point, Forsyth and Pollard cunningly allow Cave to suggest that his intimate, confessional voice—whether in diary, song or documentary—is true, but only to the extent that it is a well-built, effectively-staged performance. Cave tells his ‘shrink’ of his watchful father (attending an early gig without telling his son). When this father later mutates into an omniscient God in Cave’s songs, the effect is neither wholly natural nor wholly unmediated. Not for nothing is Harry Houdini—the self-professed ‘honest magician’—beloved of musicians and artists. Cave shuttles back and forth between cathartic and reflective characterizations of art. He still has affection for the former; he takes an almost giggling pleasure in walking archivists through photographs of Dionysian Bad Seeds gigs. But the real enthusiasm comes when he talks with now-aging partners in crime like Blixa Bargeld. Here the conversation is about the importance of editing; a motif that Forsyth and Pollard subtly reinforces with repeated shots of lyric sheets and note books slashed through with red lines and scribbled excisions. When Bargeld agrees that an old song must often be abandoned (because you can’t ‘bring something out it that’s still true’) the picture of the rock star rigorously policing his craft rather than his legend is complete. Strategic collaboration: Cave and Kylie Minogue reflect on their duet ‘Where the wild roses grow’. Cave also declares the centrality of collaboration, another motif common to contemporary definitions of artistic practice. The process of composing and recording music with a group is necessarily collaborative, as studio footage reveals. And 20,000 days on earth is itself a collaboration. No fly-on-the-wall verité exercise, it strikes me as a partnership offering both parties an opportunity to extend their practice. Cave gets to tell his story in a way that opens doors rather than imprisoning him in a ‘rock doc’. Forsyth and Pollard get to pursue a prospective rather than fetishistically retrospective project. In many ways, Cave’s version of art is a familiar one. Take your idea, he says, however small, ill-formed or inexplicable, and pursue it. A daily, reflective, collaborative practice will eventually allow this idea to reveal itself, to unveil the structure, metaphor and reflection embedded in what seemed an intuition (or ‘superstition’ as Cave puts it). For me, at least, it’s something I hear often in conversations with serious-minded younger artists. It’s an aspiration towards a balance between the intangible (intuition, imagination, memory) and the structural (discourse, practice, performance). A task that Cézanne characterized as realizing ‘ma petite sensation’; a job of work that manifests something extra-instrumental. I don’t mind that Cave’s take on art is familiar; after all, it’s still unusual to hear a rock musician speak as artists do of their practice. And I don’t even mind that his vision of art is still essentially romantic (words like ‘transcendence’, ‘transported’ and ‘transformative’ litter the soundtrack). What’s most important is that an Australian musician who has obviously taken himself seriously for years is now prepared to declare how he goes about that serious business. Iain Forsyth and Jane Pollard, 20,000 days on earth, 2014, feature film, 97 minutes. Screened at Melbourne International Film Festival, 6 August 2014.